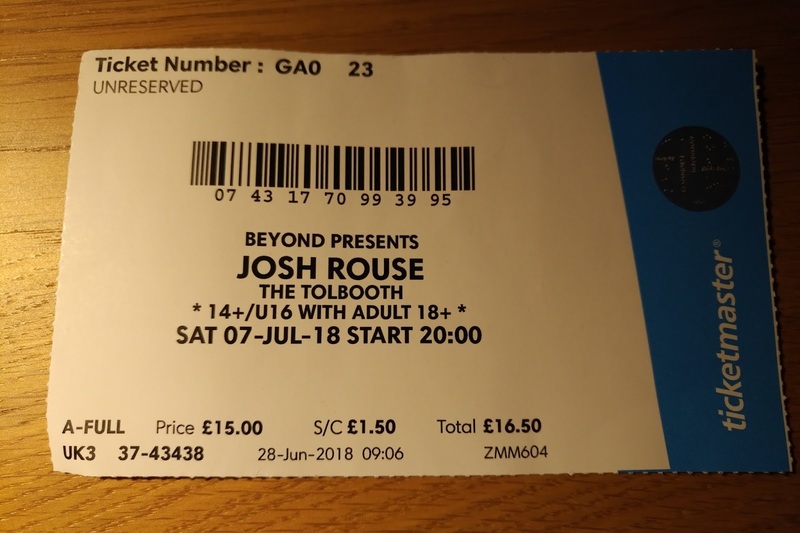 A little late, but here's my thoughts on Josh Rouse at the Tolbooth in Stirling on Saturday 7th July. 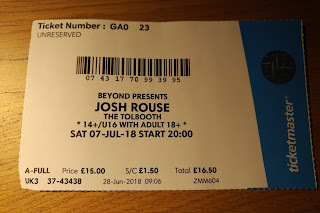 Never having seen Josh Rouse before, and having been a fan of, in particular, the "1972" & "Nashville" albums, the opportunity to see him in a small venue only 16 miles from home was too good to pass up. An added bonus was the chance to share a live music experience with my wife, who is normally less than enamoured of my gig choices. Once the support act had finished, Josh came out with just his guitar and a harmonica and proceeded to hold the sold out 150 capacity venue enthralled. With an easy charm between songs to compliment the catchy tunes and sweet voice, this was a treat from start to finish. New songs stood out, especially "Salton Sea" and "Businessman", and were still lodged in the memory the next morning. The undoubted highlight was, upon coming out for the encore, Josh saying "it sounds so good in here I think I'll just go unplugged". He then proceeded to unplug his guitar, step away from the mic and wander around the auditorium singing "Love Vibration" whilst the audience filled in on backing vocals with "your people all know what he's talking about". At one point, he was standing directly in front of us, singing right into our faces. Mrs Powderfingerspeaks was amazed at what she was seeing and hearing! The only downside for me was a lack of "Sad Eyes", a personal favourite from "Nashville"
A gig that will live long in the memory. If you get the chance to see him, do.